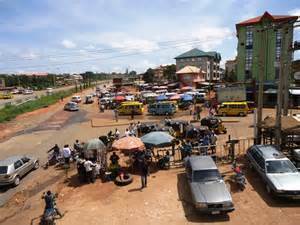 The ongoing crisis between the Catholic faithful and a section of Awka community over the observance of Christian burial rights in the area took another dimension on Wednesday night, when the two bodies clashed openly in the heart of the Anambra State capital,Awka, leaving at least 30 persons wounded. Among those injured were Mrs. Juliana Okeke, Mr. Ogah Moses, Mr. Christian Anichebe, Mr. Obuekwe Obukwelu, Mr. Onwa Patrick, who are receiving treatment at Regina Caeli Hospital in Awka. Speaking from their hospital beds, they said it was only God that rescued them from the hands of the youths while returning from a burial. The latest incident was triggered off during the burial ceremony of an 85-year old man, Mr. Samuel Nwana Nebolisa at Umudioka in Awka. The bone of contention between the church and some people in Umudioka community was the dust-to-dust ceremony usually performed during the burial of Catholics, which a section of the community had objected to over the years and often led to confrontation during burial ceremonies in the Community. Since the demise of the late Pa Nebolisa in April this year, there had been arguments between the church and the community following the insistence of the church that the dust-to-dust ceremony must be performed by the wife of the deceased because he was a Catholic, but some of his kinsmen objected to it on the ground that it was against their tradition. First son of the deceased, Mr. Ikechukwu Nebolisa said his late father had willed that his wife should perform the dust-to-dust ceremony during his burial because members of the family were ardent Catholics and wondered why some people in the community should prevent her from doing so, especially when the constitution of the country allowed for freedom of worship. The incalculable damages inflicted on the nation by the continued proliferation of the prosperity doctrines remain deep and frightening. The country, though officially secular, now features religious rituals in public offices, institutions and functions.